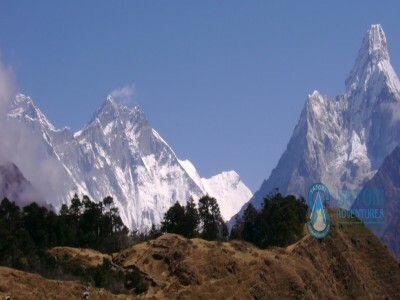 Naturally high elevation trekking or expedition requires much higher level of stamina and in principles younger you are easier you would cope with such adventure. 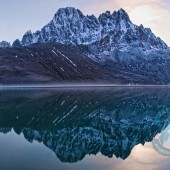 However the altitude affects are unpredictable and only previous experience at the altitude can be a reliable predictor of success or failure during your trekking adventure. 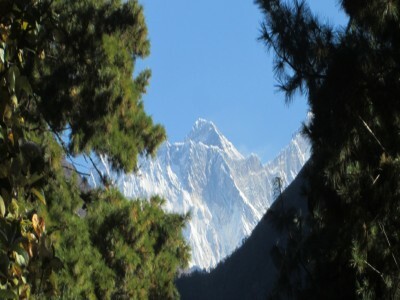 In general lung or heart condition or susceptibility can be detrimental to the Everest expedition or even Everest base camp trek. 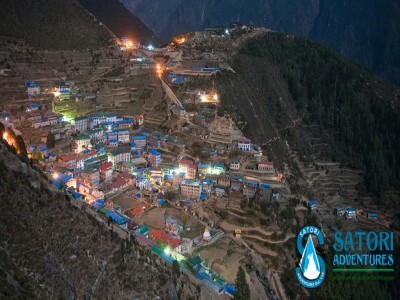 There is however an interesting phenomenon with people with asthma, who actually can cope with the altitude surprisingly well providing they protect themselves from dry and cold air, which if managed properly allows a very comfortable feeling during Everest base camp trek as well during summiting Everest expedition. 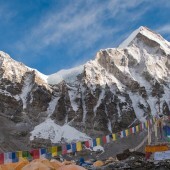 The success of Everest expedition or even Everest base camp trek depends largely on the participant physical fitness and general health. 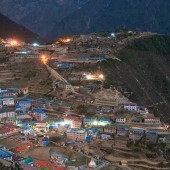 The preparation for the Everest base camp trek is substantial. For an active athlete the preparation may take only 3 months or so but for unfit but generally healthy person it can be 12 months effort. The best way of preparation is ‘gravity’ training to increase cardiovascular capability of the body. Gravity training means usage of increased loads like walking with heavier packs than those expected to be carried on the Everest base camp trek or Everest expedition. It is also essential to extend the range of motion for climbing ability by step climbing on daily basis and there is no substitute for long walks and runs rather then any other form of cardiovascular exercise. For cycling enthusiasts cycling steep hills could be an alternative. 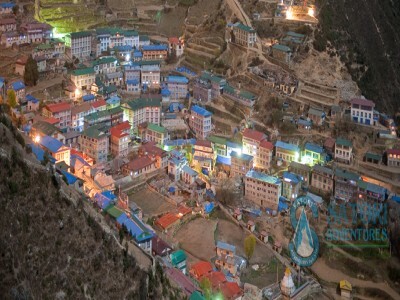 The reward of a good preparation for Everest expedition, Everest Base Camp trekking or even lower elevation Everest region trekking such as trip just to Namche Bazaar or Tangboche will be enjoinment of the adventure’s physical challenges, incredible vistas, the art and the culture of Khumbu region. 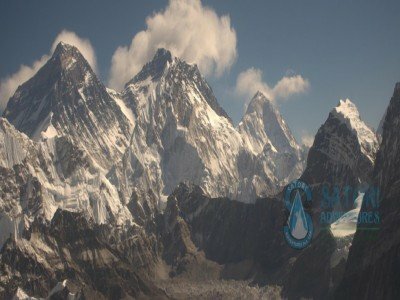 Duration: 17 Days Elevation: 5,200/17,056ft Grade: Moderate+ fairly Strenuous Co-Ordinates: 28°00'23'' N / 86°51'438'' E Group Size: 01-10 persons per Group. 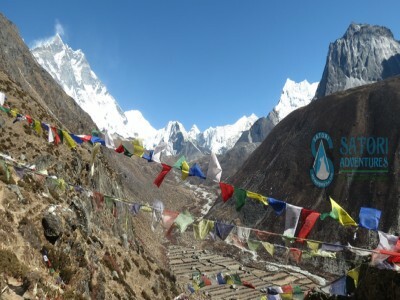 Duration: 20 Days Elevation: 5545m/18,192ft Grade: Strenuous Trek Co-Ordinates: 28°00'23'' N / 86°51'438'' E Group Size: 01-10 persons per Group. 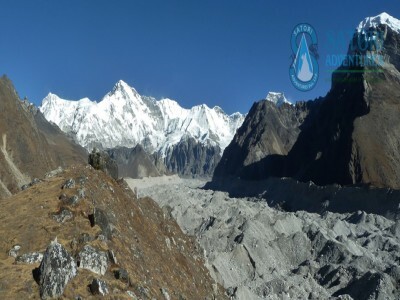 Duration: 22 Days Elevation: 5545m/18188ft Grade: Strenuous Trek Co-Ordinates: 28°00'23'' N / 86°51'438'' E Group Size: 01-10 persons per Group. 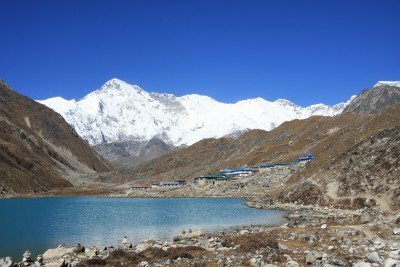 Duration: 21 Days Elevation: 5705m/18758ft Grade: Strenuous Trek Co-Ordinates: 26.5333° N, 86.7333° E Group Size: 01-10 persons per Group. 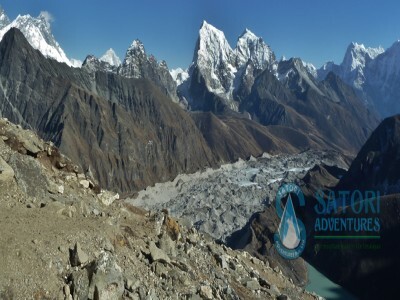 Duration: 10 Days Elevation: 5554m/18222ft Grade: Moderate,fairly Strenuous Co-Ordinates: 28°00'23'' N / 86°51'438'' E Group Size: 01-10 persons per Group. Duration: 10 Days Elevation: 3800m/12468ft Grade: easy Co-Ordinates: 28°00'23'' N / 86°51'438'' E Group Size: 01-10 persons per Group. Duration: 12 Days Elevation: 4400m/14433ft Grade: Moderate Co-Ordinates: 28°00'23'' N / 86°51'438'' E Group Size: 01-10 persons per Group. Duration: 23 Days Elevation: 5360m/17582ft Grade: Strenuous Trek Co-Ordinates: 28°00'23'' N / 86°51'438'' E Group Size: 01-10 persons per Group. 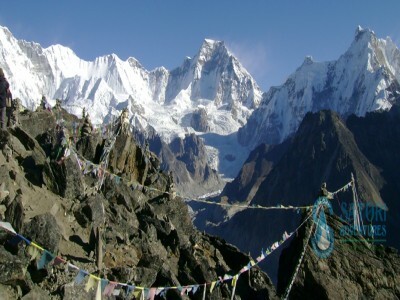 Duration: 29 Days Elevation: 5700m/18698ft Grade: Strenuous Trek Co-Ordinates: 27°96'11'' N/86°68'33'' E Group Size: 01-10 persons per Group.